Preparation is key, whether you are navigating the apocalypse or the deepest part of the jungle. 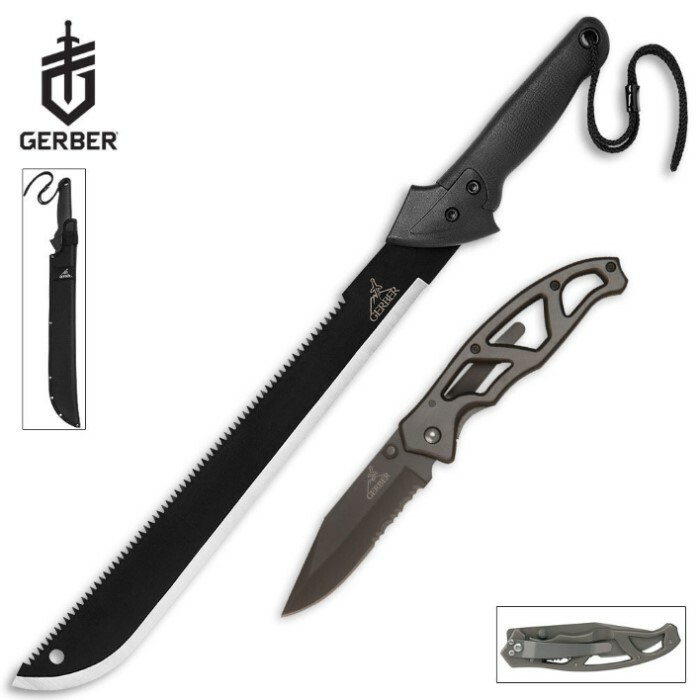 With this tough Gerber combo, you will be well prepared for both. One exclusive combo at an unbeatable price, only at Radical Knife! The Gator Machete wields fine edge blade on one side and a high performance saw blade on the other. The latest addition to the Prodigy family, the Prodigy Tanto meets US Army specifications. Made in USA!